nightmare where they complain about their ex and let Kylie Minogue's new single flop. 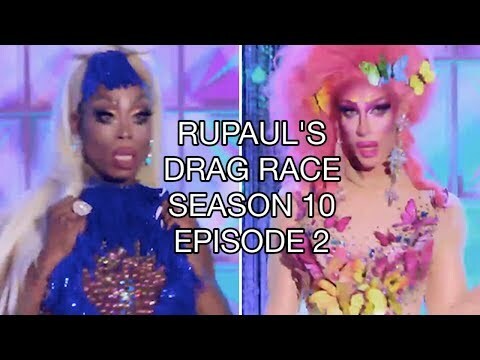 of last week's Untucked, they fought over who wore the same yellow dress first. She held a piece of paper which read, "The Vixen Will Fight You" up to the camera lens. was named the winner of the challenge in a tie with Asia O'Hara. The winners were named team leaders of the maxi challenge called a "pharma-Rusical,"
push them. They chose their teams and Eureka was last standing and landed on Team Asia. the team lead do their job. Meanwhile The Vixen took a more autocratic approach and assigned the roles outright. Asia prepared their moves in advance and seemed like a shoe-in for the win. – even though she claimed it to be – and her acting fell flat. Halsey was a guest job along with Top Chef host Padma. The musical was a flop. The Vixen was declared the winning team and she was named the winner of the maxi-challenge. Kalorie's lip syn was empty compared to Eureka's and she sashayed away.